Bodrum gulet cruising is a unique experience. What makes this style of seafaring holiday are not only the destinations you can reach but also the yacht selection offered. From gulet charter to motor yachts and bareboats, there is the right type of vessel for you to enjoy your vacation at sea. Bodrum is located on the Southern coast of Turkey in the breathtaking Aegean sea. It’s central point is an advantage to many favorable destination spots. You can either venture west and continue along the Caria coast or down south to the many amazing Greek Islands found in the Dodecanese, Cyclades, Ionian or Sporades. Should you decide to head east, then an exceptional blue cruise travel can be expected, to places such as the lively city of Marmaris, the charming town of Gocek or exciting harbor city of Fethiye, will present a great deal of advantages in seeing the many different cultures all within the Turkish coast. Bodrum is home to the orginal Turkish blue cruises. It is the place where it all started. Dating back to the mid 1970’s, gulets have become a tourism sector on its own. You can visit the shipyards in the Bodrum region where many world class sailing yachts, handcrafted by the finest woods have been born. A few of the well known branded gulets can be seen in the harbor during the season; such as the super sailing yacht Regina. She made true fame in 2012, when she was featured in the latest James Bond movie, Skyfall. However, yacht charters that are available for blue cruises in Turkey are not limited to just Turkish gulets. Travelers can also hire magnificent luxury motor yachts – offered in a variety of great prices throughout the year. If you are not one for power yachts, and rather stick to just sailing, maybe even skippering a boat charter, there are a great many bareboat rentals also available from Bodrum. On the other hand, the true experience of a blue cruise, in its true meaning, is genuinely experienced on board Turkish gullet charters. Ponder no further and set your route to Turkey for an unforgettable blue cruise journey in the open seas. 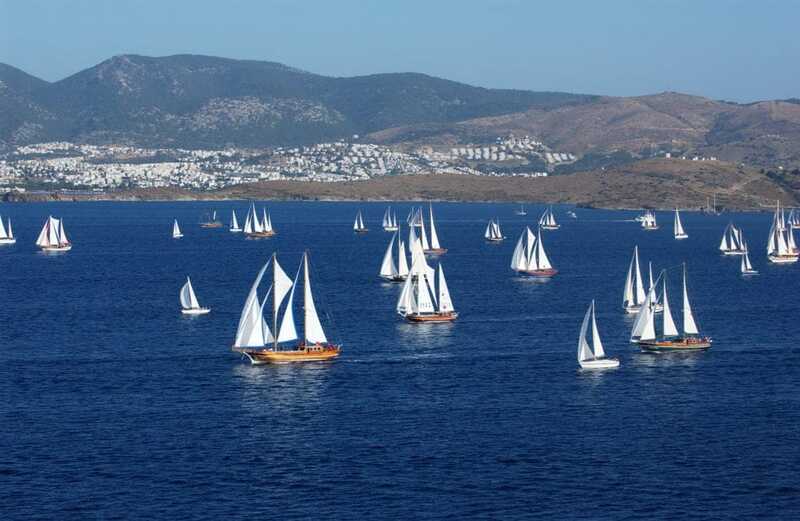 You might even like to share your Turkish blue voyage or boat charter within the many islands of Greece. Custom itineraries are also possible. This is where you can take a long distance and travel as far as the Dalmatian coast to the west or steer your route to the Mediterranean and visit the Cretian islands or Cyprus! The limits of a blue voyage holiday from Bodrum are only limited by your imagination and budget!